You'd think after 30+ years of teaching, I'd have my strategies for teaching math "down". Well, just like any learner, I'm always in search of aligning my philosophy of how children learn with best practices, simultaneously walking that tightrope of district mandated curriculum. 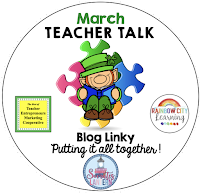 "Back in the day," I used to teach primary grades using Box it or Bag it Mathematics, then Opening Eyes to Mathematics in upper grades. Both programs were hands-on, inquiry-based, and highly engaging. As my district kept adopting new math textbooks supposedly Common Core-aligned, I became more and more disjointed from how I knew I should be teaching. If you've been following me for a while, you know I've been searching for a better way to teach math. You may have joined in our Mathematical Mindsets book study. If you're unfamiliar with that incredible book, check out the study HERE. This year, I finally feel back to being a "good" math teacher! Are you familiar with Cognitively Guided Instruction in math, otherwise known as CGI? (For those of you already trained and implementing CGI. . . I know I'm late to the game! Sigh. . .) Cognitively Guided Instruction (CGI) is based on an integrated program of research focused on (a) the development of students’ mathematical thinking; (b) instruction that influences that development; (c) teachers’ knowledge and beliefs that influence their instructional practices; and (d) the way that teachers’ knowledge, beliefs, and practices are influenced by their understanding of students’ mathematical thinking. I've been observing CGI teachers, reading the CGI book, and went to training. It makes sense! I'll be blogging about my CGI journey throughout the year. 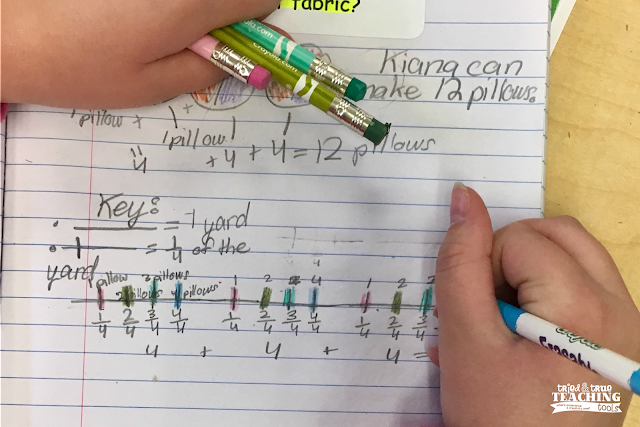 Teaching fractions has traditionally been an area of struggle for many students. (Even my husband complains that he STILL does not understand fractions!) 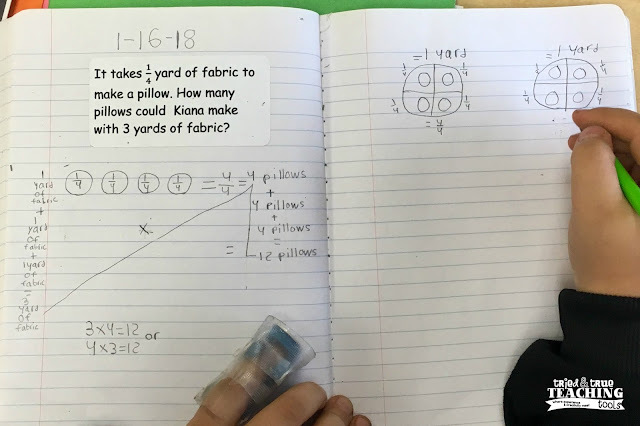 Using the CGI book, Extending Children's Mathematics: Fractions and Decimals, my students are solving fraction problems in a manner that is intuitive and natural for them! 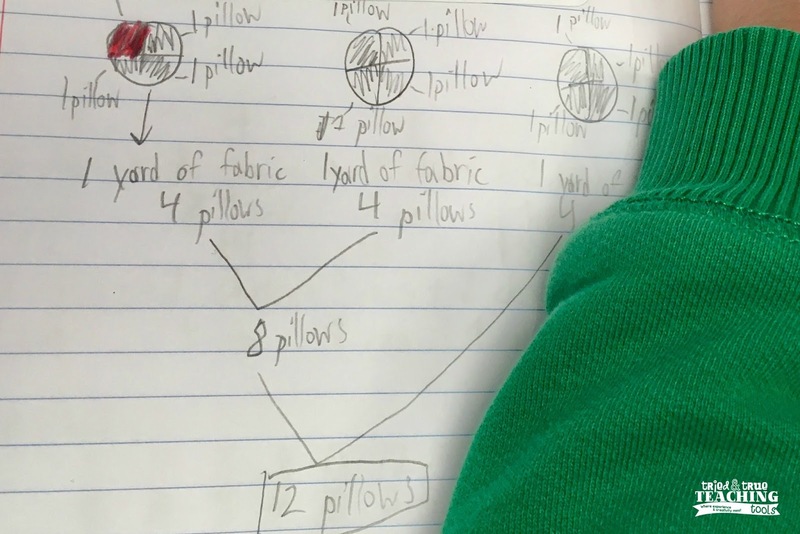 Rather than an entire worksheet filled with fraction problems, each day we focus on one problem. Yep, that's it: 1 problem! I was skeptical about whether this would be the best use of instructional time, but the amount of language, sharing of strategies, and understanding of concepts is incredible!! You need this fractions and decimal companion book to CGI! Because students have such a better understanding of fractions, they are now able to identify and understand the connections between common denominators, equal shares, and multiple groups. They are applying familiar strategies to new problems, even traditional-looking equations from the math book. 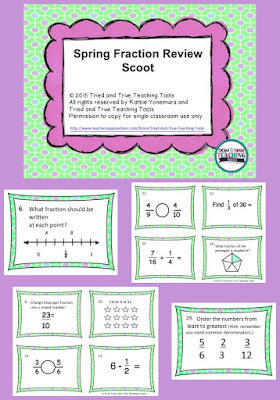 If you want your students to play a fun & fast-paced fraction review game, check out Spring Fraction Review Scoot! Be sure to visit all the other great Teacher Talk posts below! Thanks so much for sharing this informative post. Fractions can be so difficult to understand, this new method makes it much easier. 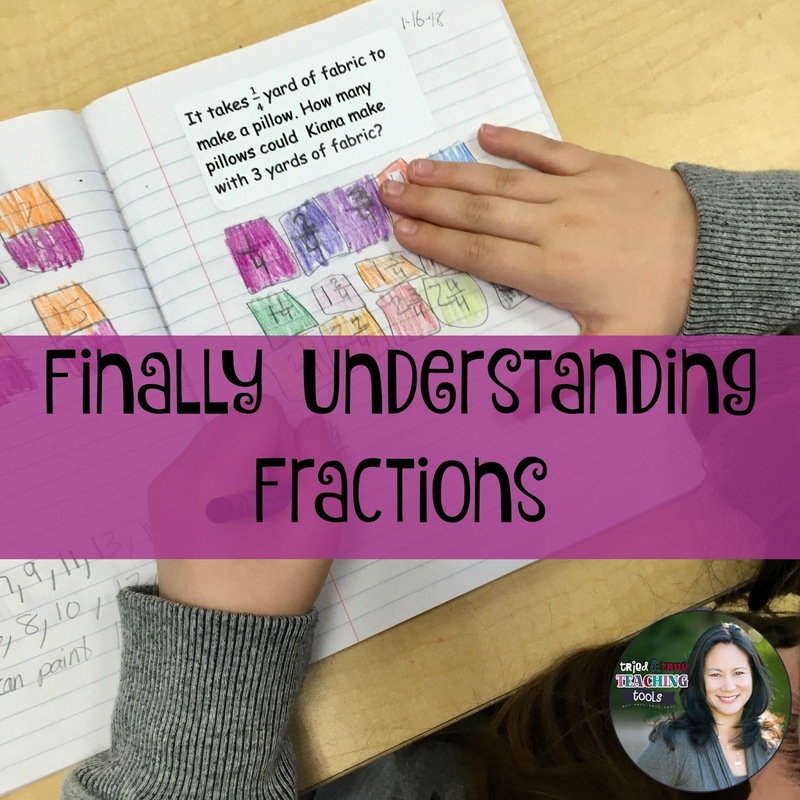 It's been amazing to see my "non-traditional" students succeed and understand fractions! 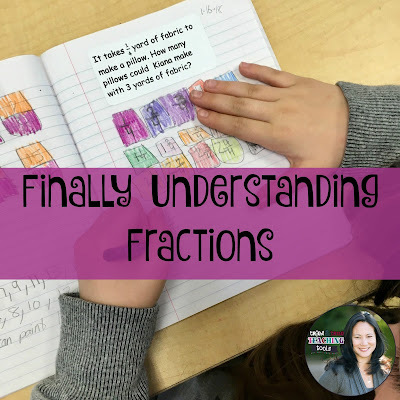 Fractions have been difficult for students to grasp since I've been teaching as well. My 4th graders have been on our fraction unit since January and we have pushed out the pacing guide to give our students more time to practice fractions. I like your strategy of teaching one problem a day! Yes, focusing on understanding just 1 problem has been so helpful!